The property is arranged on ground and one upper floor to provide a dental surgery (4 treatment rooms) which has been recently refurbished. Externally and to the rear, the property benefits from parking for 5 cars. The village of East Harling is located 8 miles south-west of Thetford and 20 miles south-west of Norwich via London Road (A11). 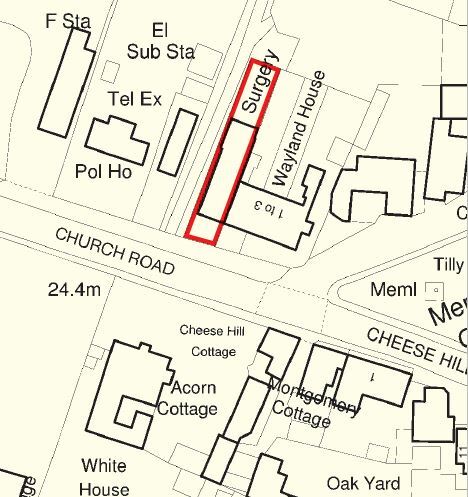 The property is located on the north side of Church Road (B1111), which leads directly to London Road (A11) some 1.7 miles to the north. The immediate area is predominantly residential and it is the only dental practice in East Harling.